EMF » Accelerated pathway in the assessment of suspected acute coronary syndrome in the Emergency Department: a diagnostic accuracy study. Emergency Medicine Foundation > Projects > Queensland > Accelerated pathway in the assessment of suspected acute coronary syndrome in the Emergency Department: a diagnostic accuracy study. Accelerated pathway in the assessment of suspected acute coronary syndrome in the Emergency Department: a diagnostic accuracy study. Is measurement of a number of different heart hormones and chemicals two hours after an individual presents to the ED an effective way of determining suspected acute coronary syndrome in the ED? 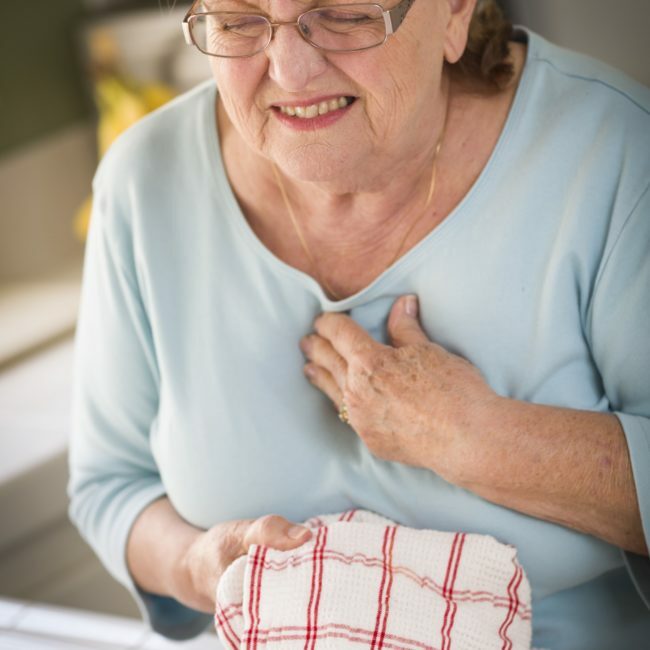 Chest pain is one of the most common conditions treated in the Emergency Department (ED), but making a diagnosis remains challenging and resource-intensive. Not all causes of chest pain are due to heart disease. Currently, doctors do a blood test to look for the presence of a cardiac chemical called Troponin I to assist them in making a diagnosis of heart disease. This chemical is released from heart muscles when they are damaged and is, therefore, a good indicator of heart attack. However, because Troponin I is released slowly, doctors have to wait for up to six hours to determine whether it is present in the blood. This project hopes to make a more rapid diagnosis of the patient’s chest pain by measuring a number of different heart hormones and chemicals two hours after an individual presents to the ED. These chemicals are known as creatine kinase-MB-isoenzyme (CK-MB), B-type natruiretic peptide (BNP), and myoglobin. If the diagnosis at two hours is accurate, this project will be able to provide treatment to patients up to four hours earlier. Moreover, patients who do not require treatment can be quickly sent home from the ED. In this way, potentially reducing overcrowding in EDs. This project will recruit 1000 consecutive patients presenting to the Royal Brisbane Emergency Department with greater than 5 minutes chest pain. Patients will be managed and investigated as per standard care. However, additional blood test will be taken at two hours to assess the combination of heart chemicals. Later there will be follow-up on patients to determine whether the two hour test was accurate in diagnosing heart attack. The study has been approved by the Human Research Ethics Committee of the Royal Brisbane and Women’s Hospital. This project led to the development of the ADAPT protocol, which was implemented in 16 Queensland Hospitals through a structured process of clinical service redesign between May 2013 and September 2015. This roll out was funded by a Queensland Health grant.